If you’re looking to in vet in a piece of hardworking equipment, then you should seriously consider making room in your fleet for this machine. Simplified, yet beefed up deck lift, 17 cutting positions in 0.6cm (1/4″) increments from 3.8-14cm (1.5-5.5″). Strong front forks, with larger fork shafts and bearings add durability and enhance manoeuvrability. Adjustable flip-out control arms provide easy cockpit entry and exit with vibration isolators adding operator comfort. Foldable ROPS as standard. Double sided anti-scalp brackets: eliminate bending and breaking of scalp rollers. 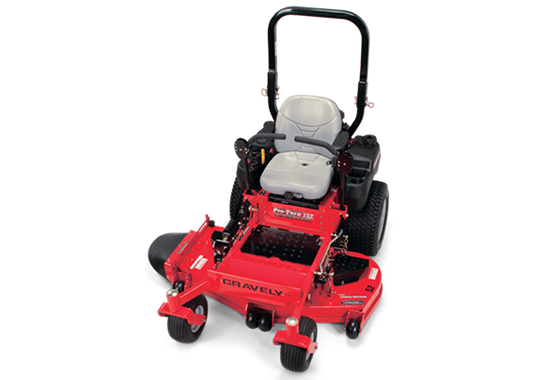 Full suspension seat with armrests: cradles the operator in comfort, has been lowered to increase overall mower stability. Designaetd trailer tie-down points: safeguard the machine during transport. 7-gauge fabricated and welded X-Factor Deck design: assures lasting performance. Maintenance-free XL Spindles with durable cast iron housings.